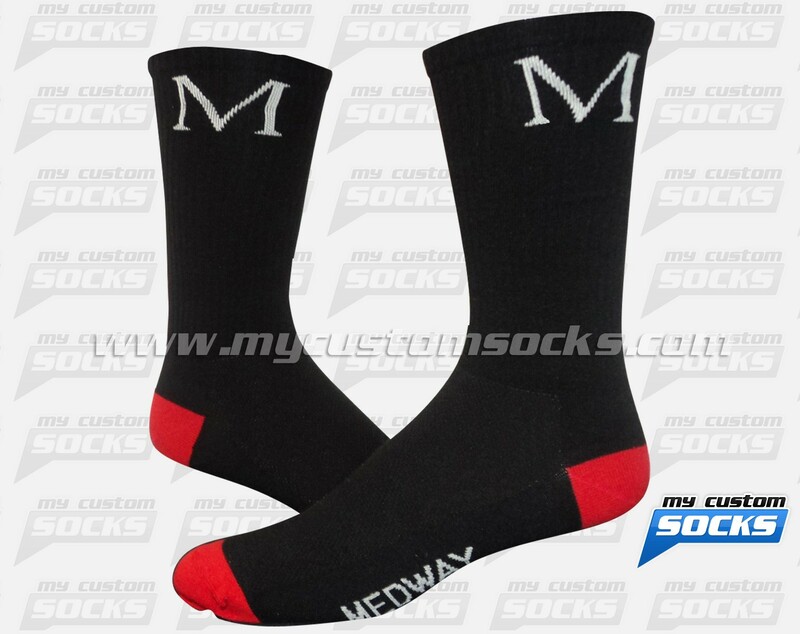 Team Custom Socks was proud to work with Medway High School in Medway, Massachusetts in the creation of custom crew socks to sell at a fundraiser for their football team, they wanted a simple black sock with the letter M on the cuff. 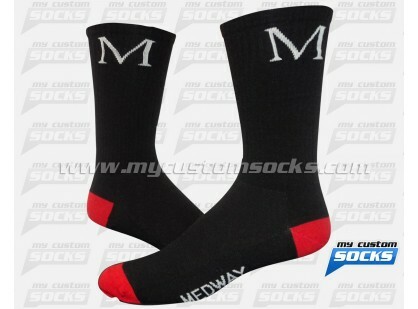 The black and red crew sock that our team designed for them was exactly what they were looking for. Our best fabric was used in the production of these socks to make them more comfortable, the students loved their custom football socks.